Fantastic curb appeal with a grand entrance. Large foyer welcomes you in. Cheerful living room w/vaulted ceiling & bay window. Spacious kitchen has newer appliances: stove, fridge & DW. Wall pantry w/pull-out drawers. Dining room walks out to 14x14 deck and fenced yard. Upper level has an open floor plan. Master BR is spacious w/pass-through bath. 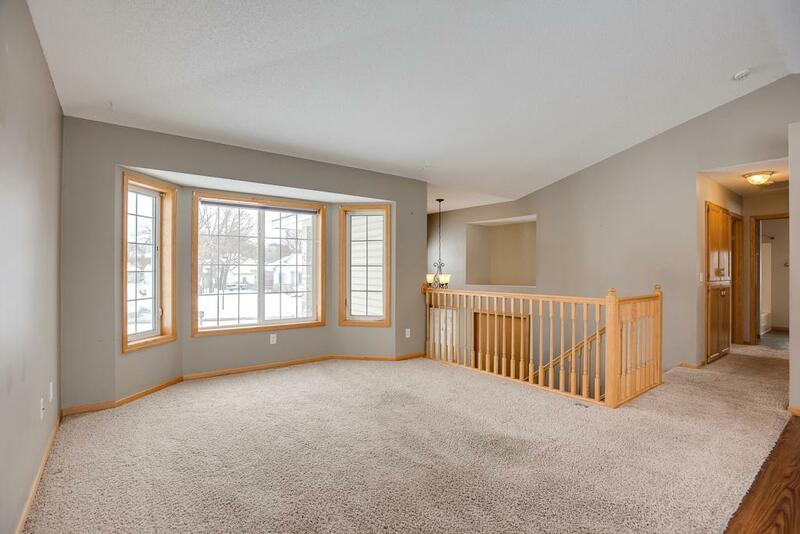 LL finished w/large family room.. Great location! Welcome home.